Students warming up to the beat of the drums! 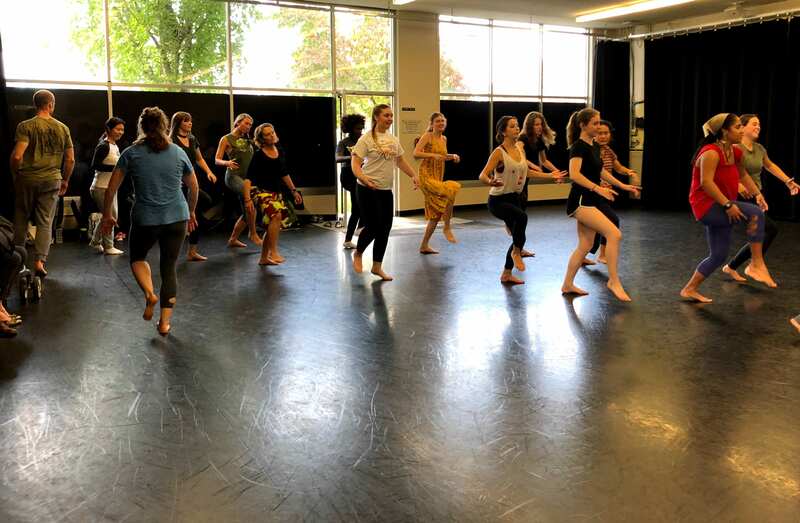 On September 28th and 29th, Sarah Lee Parker Mansare of One World Dance and Drum, along with One World company members and drummers Sekou Fofana and Karim Camara, visited various Whitman dance and history classrooms, including Professor Jacqueline Woodfork’s Decolonization in Africa and Professor Renée Archibald’s Introduction to Dance. 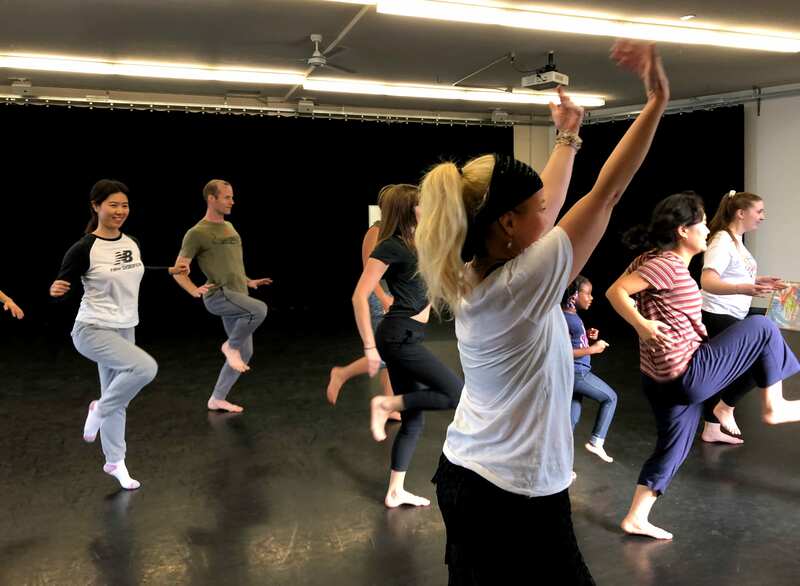 On Saturday the 30th, One World hosted an open studio class and delighted Whitman students, alumni, and community members alike with a taste of the dance and drum culture of Guinea, West Africa. Ashlyn: How has your dance practice and education evolved since you first started? Sarah: …As my understanding has gotten deeper and bigger, what I can offer has gotten deeper and bigger…it’s always touched me being with the people and learning about the culture—I think I have much more of a focus on that. I love the dance and the drum, and a lot of what I offer is dance, but I try and add in the cultural pieces as this world has gotten, particularly in the last handful of years, you know, Islamaphobic, and it’s a really big opportunity to look at race, to look at gender, to look at wealth and poverty, to look at religion, as [Guinea is] an 85% Muslim country—and so much about this art and so much about the way Guineans walk in the world and perceive life is about unity and togetherness and collaboration and community … There’s this perfect mismatch between our culture here and their culture there, where we have means and organizational strength and technological and medical capacities to treat things … but we have this social poverty that I feel like exists here. We’re so individual—I know plenty of people in Seattle who live alone, sleep alone, get up, get dressed, eat their breakfast on their way to work in their car alone, get to their cubicle, sit for 8 hours alone, get back in their car alone, go to the gym and do their thing alone, eat alone and then, you know, it’s lonely. I even know people who haven’t spoken to their parents in 20 years…so there’s this social poverty, but means, and it’s the direct opposite over there. You know you can still in the belly of Guinea find a culture intact that [is practiced by] people who have been living in the same cultures and values and hierarchy for the last multiple thousand years—and people are very reverent—they honor their relationship[s] with their mothers and their grandmothers, and there’s this dynamic that is in place that feels very sustainable, and senior to our social situation… In terms of how this has evolved for me I feel like I have gotten more wise to the distinction and differences between the cultures, and gotten more committed to this two-way bridge of understanding and learning—and that there’s really a lot for us to learn from them. 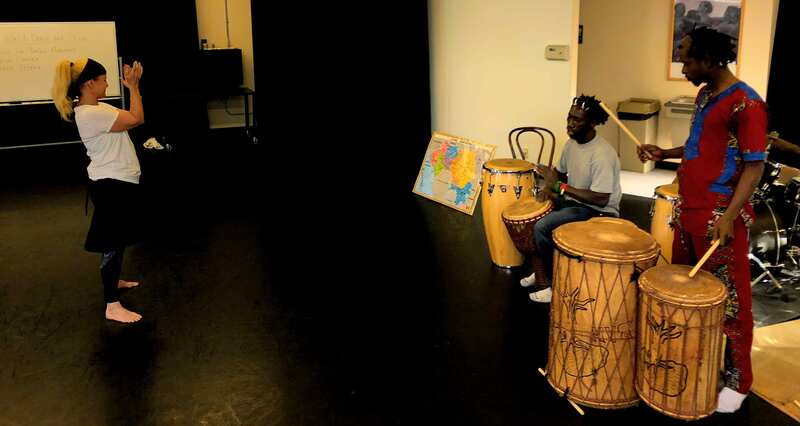 To learn more about One World Dance and Drum and their missions, read here. In addition to our curricular and production offerings, we invite guest artists to work with our students as part of our Guest Artist Program. This program is made possible through a generous endowment that allows working professionals to visit the Whitman Campus and share their expertise, experience, and talent with our theater students. 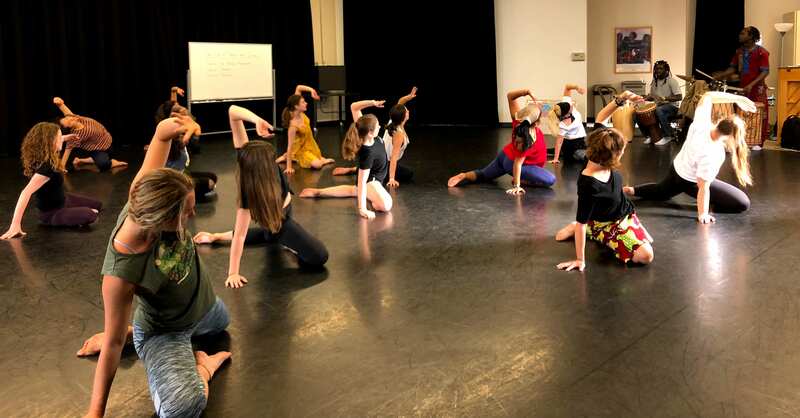 To learn more about our Theater & Dance program, dive in here.